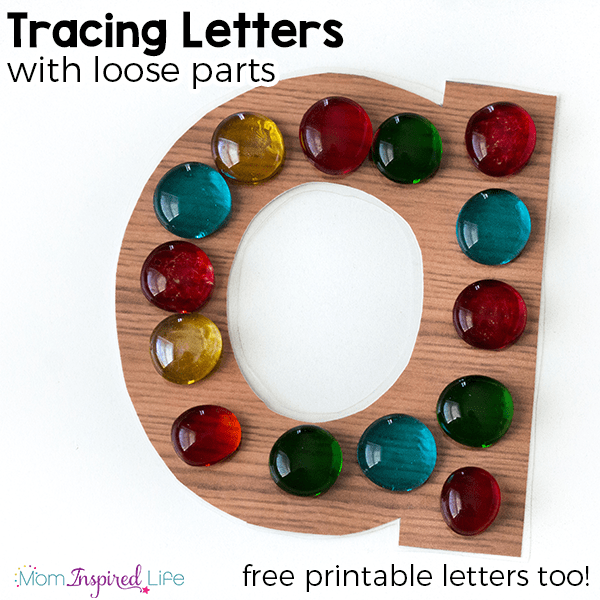 Tracing letters with loose parts is a tactile way for kids to explore letters, learn the alphabet and practice letter formation. My kids love it! 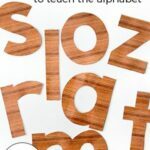 I recently made these printable alphabet letters in a faux wood design because I wasn’t willing to spend a ton of real wood letters right now and I wanted them to be pretty large. 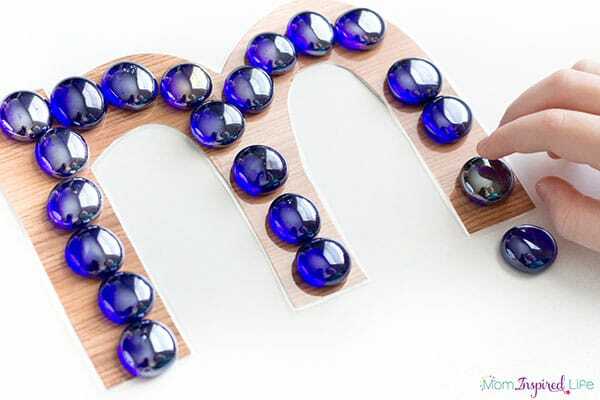 These letters don’t have that real wood feel, but for now they are a great alternative for us. 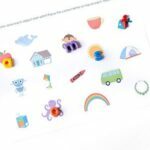 My kids have been doing lots of loose parts play now that my daughter is three and not putting things in her mouth. 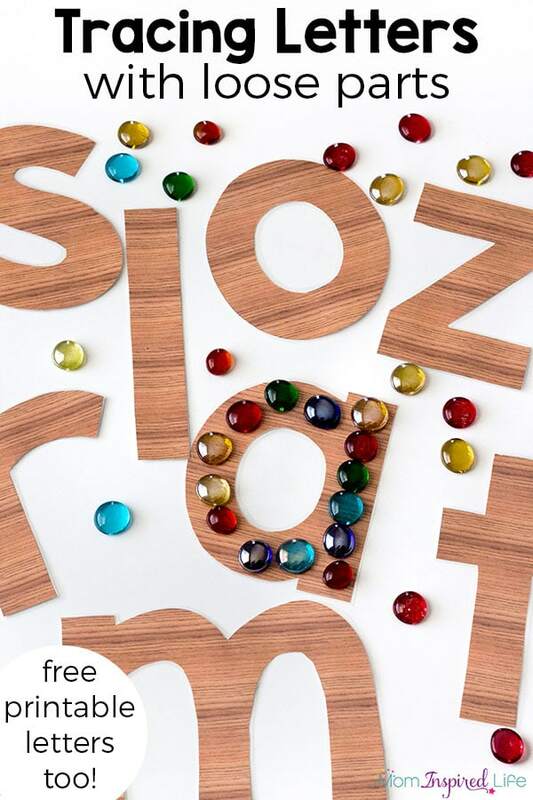 Some of our latest favorites are wooden beads, acrylic table scatter and glass gems in rainbow colors. 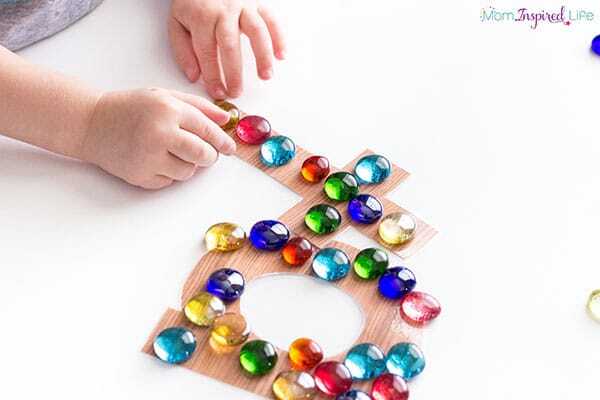 *Disclaimer: Please don’t use loose parts like these if your child or the children you teach still put things in their mouth. 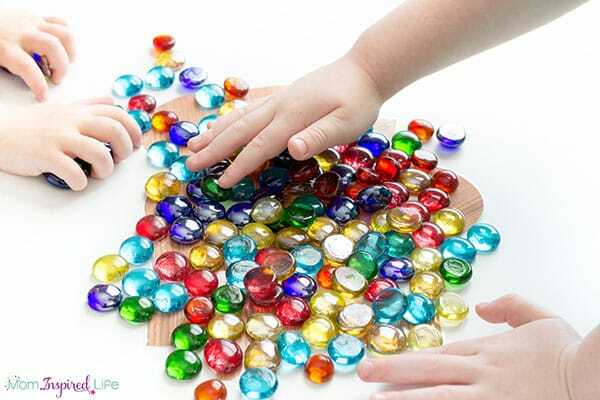 Always supervise children who are using loose parts and don’t do something you don’t feel comfortable with. 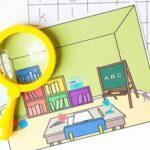 While tracing letters with loose parts, children are being exposed to letters and exploring their shape and lines. 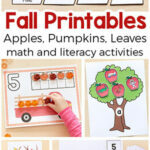 Print the letters on card stock for durability. Laminate them and cut out again. This is a bit more work than I would normally do, but it was worth it to me as we will be using these VERY often and the cost to me was a tiny fraction of what real wood letters of this size would be. This is pretty self-explanatory and there is no right or wrong way for kids to do it. My son traces around the letter and tries to work around it in the same way he would write the letter. He also likes putting one color on each letter. So it also a great color sorting activity as well. 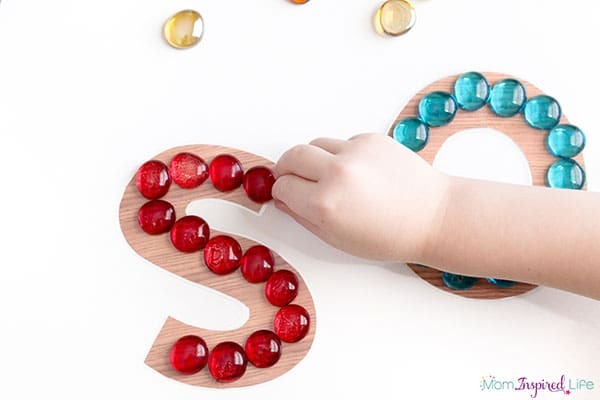 On the other hand, my toddler just places glass gems all over the letters. She also likes using all of the colors at once. Either way is totally fine. 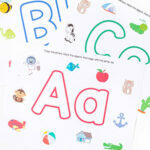 My goal is to just expose them to letters and become familiar with their shape and lines. This time they moved on to putting the letters in a pile and placing the glass gems all over the pile. Then they would dig the letters out from underneath the pile. My kids really enjoy tracing letters with loose parts! This is definitely something we will be doing again and again this year! 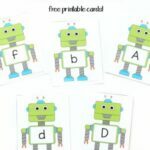 Click the button below to download the free printable letters!